The diplomatic spat between Canada and Saudi Arabia is causing anxiety among Muslim Canadians planning to travel to the kingdom for the hajj — and has many wondering how they'll return home. Hundreds of Canadian Muslims are scrambling to figure out how they will return from the hajj pilgrimage to Mecca after Saudi Arabia suspended flights to Toronto on its national airline amid an ongoing diplomatic spat. The annual pilgrimage is one of the world's largest mass gatherings, with over two million people, including thousands of Canadians, traveling to the Saudi Arabian city Mecca. Most Muslims consider it obligatory to make the trip at least once in their lives. This year, the pilgrimage takes place from Aug. 19 to 24. But since the dispute began Saudi Arabia's position has only become more entrenched, with the kingdom recalling thousands of its students from Canadian universities, and its national air carrier, Saudia, suspending its Canadian operations beginning on Aug. 13. Saudia is popular with hajj-goers because it offers direct connections between Saudi Arabia and Canada. ​"We have no idea how we are going to get back to Canada," Fachrizel Halim, a Toronto resident who is attending the hajj, told CBC News. Halim had already paid for his trip package, which typically costs about $15,000, when he heard that the airline was no longer flying back to Toronto. He had intended to return on Sept. 3. Multiple Saudia customers told CBC News the airline provided a contact number to help resolve the problem — but when they called there was no answer. 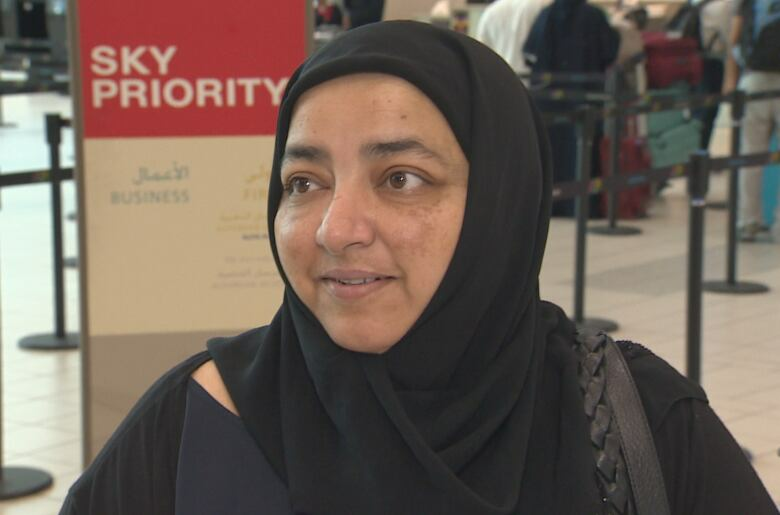 "They're getting on the plane, which is great," said Sima Atcha, who was at Toronto's Pearson airport to see off her daughter and son-in-law. "Returning is the issue. We don't know what's going to happen with the return." Atcha said she was reassured by travel agents that arrangements will be made to return through Europe or the U.S., but nothing's been determined yet. "I'm just hoping everything goes well." At Al Madina Hajj Travel, manager Faez Yahya says he's never seen anything like this in his 15 years of arranging hajj trips. Each year, his Toronto company takes 300 or more people on Saudia, with which he says his agency has an agreement. The airline "promised us to make alternative flights through Dubai or Egypt or other countries," he said, but what exactly his customers can expect isn't yet clear. Many have worked years to save for the trip and would have had to take a significant amount of time off from work too. According to preliminary data from Statistics Canada, 84,000 Canadians travelled to Saudi Arabia in 2017 with 4,000 stating they went primarily for religious reasons. Throwing a wrench into travel plans this close to their trips will make things difficult for them, Yahya said. Already, he estimates, he's received more than 200 calls from customers nervous about how they'll return home. 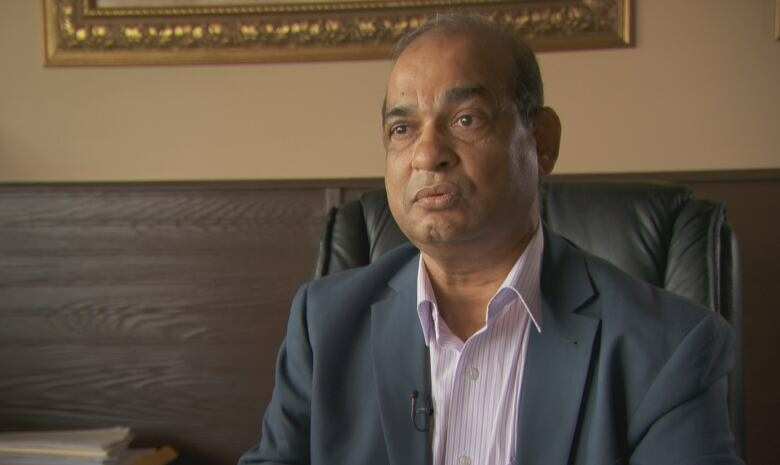 Jamil Ahmed, operations manager at King Travel in Mississauga, said he issued as many as 20 refunds on Tuesday alone to people too anxious to make the trip. "What will happen? What will happen?" he keeps hearing from panicked customers, he says. When it comes to arranging return flights on other routes, Ahmed says he's running into a brick wall, with many already fully booked for hajj season. "We are really worried," he said. 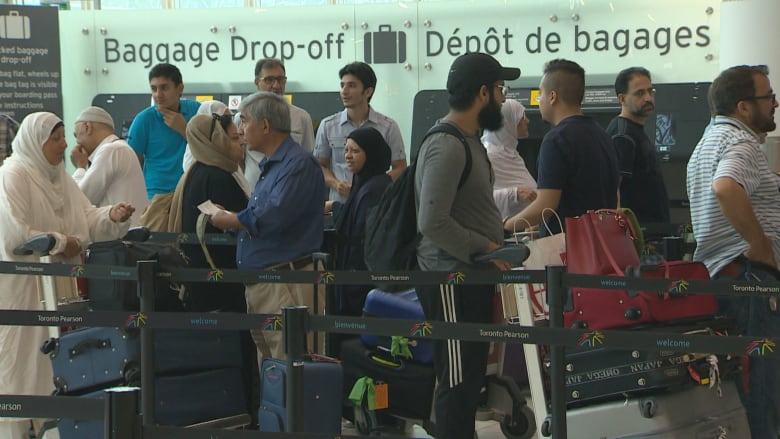 Asked how the diplomatic row will affect Canadians making the pilgrimage, parliamentary secretary for consular affairs Omar Alghabra told CBC News his office is working to find out how many people are affected. "I know there's a lot of legitimate anxiety," he said. "Many are worried that they may not be able perform their hajj and lose much of their deposit if not the entire payment that they made for that travel," Alghabra said. "It's not only the loss of a dream that they have, but also financial resources." Global Affairs said in a statement that the Canadian Embassy in Riyadh continues "regular operations," including consular service. In case of emergency, travellers can contact the Emergency Watch and Response Centre in Ottawa by phone or email. Travellers are also encouraged to regularly check the government's travel website, which currently urges a "high degree of caution" for those visiting Saudi Arabia, given the threat of terrorist attacks and security incidents. In a tweet Wednesday, the National Council of Canadian Muslims urged Canadians making the pilgrimage to take special care when it comes to alternate travel arrangements. (2/2) We urge travelers not to assume their <a href="https://twitter.com/hashtag/Hajj?src=hash&amp;ref_src=twsrc%5Etfw">#Hajj</a> group organizer/s will take care of alternate travel arrangements on their behalf as some reports suggest that failure to confirm a return flight could mean travelers are denied boarding or denied entry into <a href="https://twitter.com/hashtag/SaudiArabia?src=hash&amp;ref_src=twsrc%5Etfw">#SaudiArabia</a>. As for Halim, who departed from Toronto on Wednesday, he remains hopeful that travel arrangements will work themselves out despite not being able to reach the Saudi airline. "We ordinary people who are going for hajj in 2018 have nothing to do with all these politics." While he's concerned about the situation between the two countries, he argues "interfering" in the kingdom's daily affairs isn't Canada's place. Not all agree however, with some travellers saying the kingdom's reaction has been disproportionately aggressive. "The reaction from the Saudi government was just absurd," said Abdul Haq, who flies back and forth between Saudi Arabia and Canada two to three times a year to visit family. "It's too much, just for a small thing that Canada brought up for human rights."